It does sound a little far fetched, but Phillips have created and this week launched a new iPad 2 application called Vital Signs Camera. Which has been designed to monitor your heart rate and breathing remotely, by just using the iPad 2’s camera. 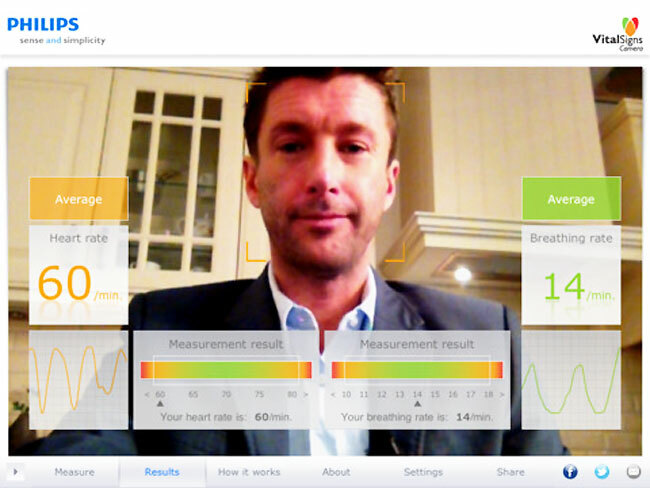 The new Vital Signs application is able to measure your heart rate by just using the colour of your face, and measure your breathing by monitoring the motion of your chest. Once you have installed the application to start taking measurements. Simply position your iPad 2 on a table and position your face inside the marked area. Then sit still while the application takes your measurements. The new Phillips Vital Signs application is now available to purchase for just $0.99, from the Apple App Store.